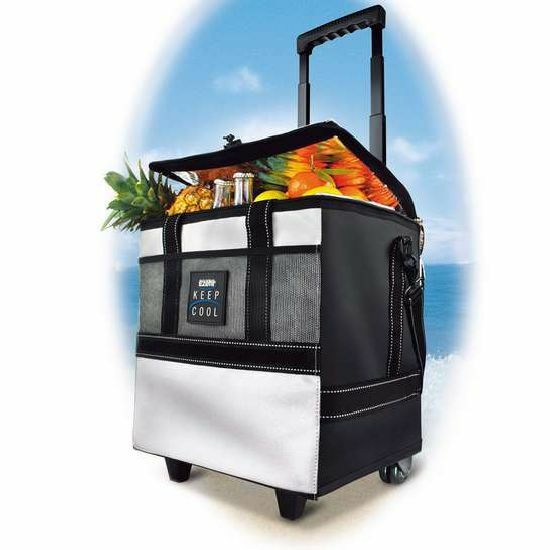 Rolling Electric Cooler has now made it possible for us to transport frozen food, party snacks, liquor and anything else by just pulling the rigid but almost invisible handle to 82cm or 100cm. This portable cooler can be plugged into the cigarette lighter while on the move in a car and when home, you could use the 230V mains adaptor. The Peltier technology removes the heat and lets it out through a ventilator and the system is durable, quiet and efficient. The refrigerator/cooler also doesn’t contain environmentally unfriendly coolants such as CFCs. The system keeps the food nearly 20Â°C cooler than the ambient temperature. Weighing at about 4.3kg and with a capacity of 34 liters, the Rolling Electric Cooler is mobile, functional and aesthetically designed. The Rolling Electric Cooler costs about $125.